“Nodding Off” is an Animated Short Film by Kailey Choi made in Ringling College of Art and Design. 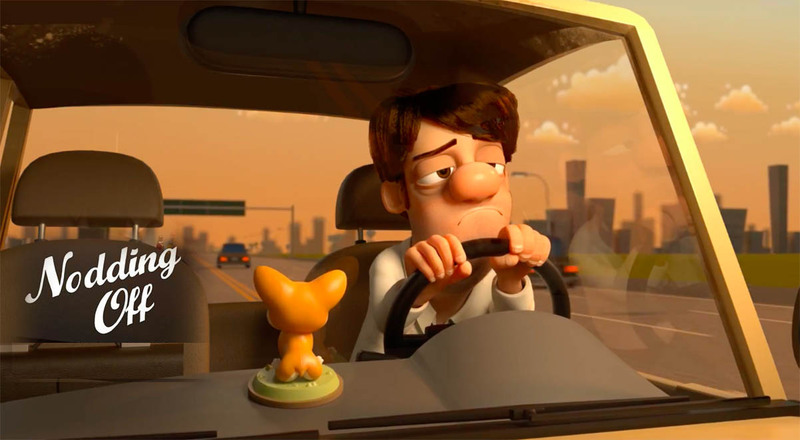 An ordinary commute home turns near-disastrous as an overworked employee falls asleep at the wheel. It’s up to an unsuspecting hero to jump in and take control in order to avoid certain doom. Unfortunately the pedal’s stuck to the metal and there’s no brakes, just quick wits and even quicker reflexes in this high octane, computer-animated short film.